Wednesday, June 7, 2017, was a special day for me. Almost five years after applying for Peruvian citizenship, my wish was finally granted! 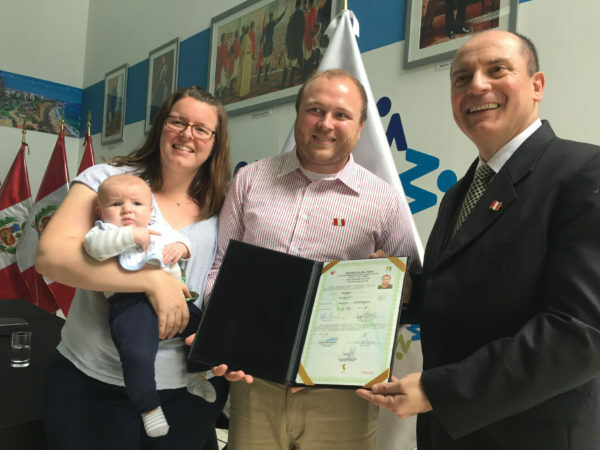 The entire process took seemingly endless amounts of paperwork, multiple visits to the Peruvian immigration office downtown, regular phone calls to different officials who had a hand in this process, and a final signature from Pedro Pablo Kuczynski, the current president of Peru! 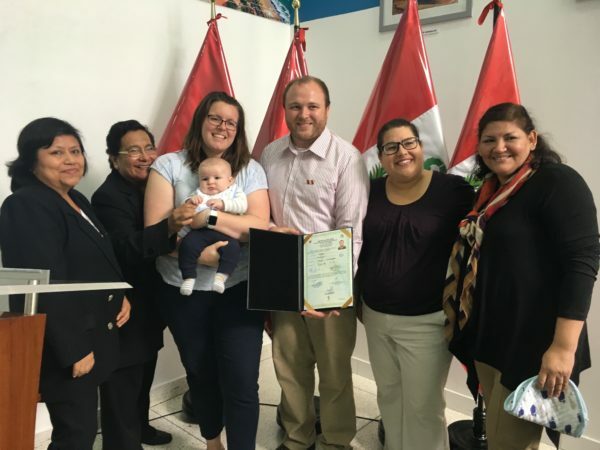 It wasn’t until Tuesday afternoon, that I was finally informed that my naturalization ceremony was to be held the following day in celebration of Peru’s Flag Day. Kate, Will and I were with a short term mission team in Ica, about five hours to the South of Lima. We jumped in the car Tuesday afternoon and drove home so that we could all attend the ceremony the following day. 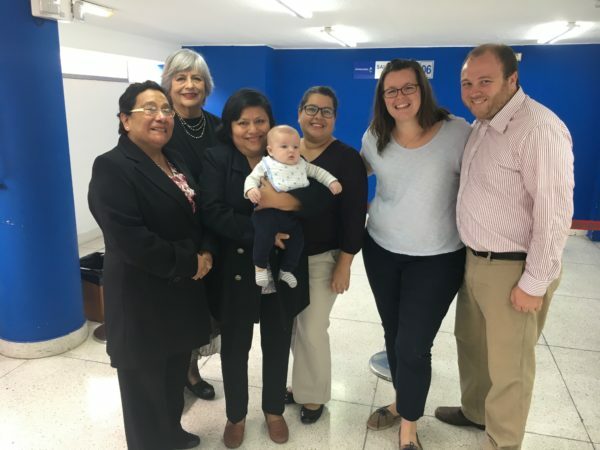 Wednesday morning we were joined by a few good friends here in Peru who were also able to share this special moment with us. The ceremony was short and sweet. 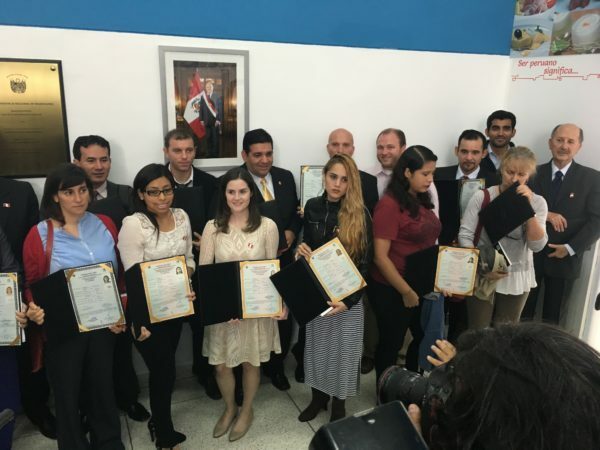 After hearing some words from the Superintendent of Peruvian Immigration, 21 of us were sworn in as citizens and then presented our naturalization titles and a copy of the Peruvian constitution. To end the ceremony, we all sung the national anthem together as new citizens! I had no idea that the ceremony was going to be covered quite extensively by all of the national news channels here in Peru. Kate, Will and I were immediately approached by all of the reporters present (I think they chose us because they fell in love with Will — we can’t blame them! ), and I had a chance to share how happy I was to finally call myself a Peruvian. Our interviews aired across the country that evening and again the next morning. For the last two days both Kate and I have been approached by multiple people to tell us that they saw us on TV. Kate was even approached by two strangers who recognized her and Will from the news! I guess we will just enjoy our 15 minutes of fame! None of the reporters took notes so they have some interesting spellings of my last name! In all seriousness, this is really a blessing and an answer to prayer. 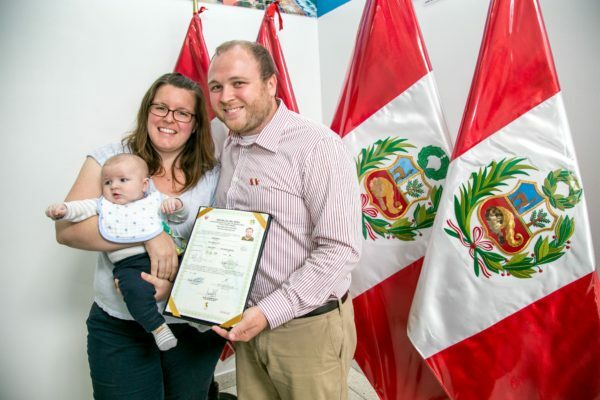 While I still retain my US citizenship, I am also proud to identify as a Peruvian and to officially become a part of the country that we have grown to love so much. Thanks to everyone who joined us in praying for this process. Once again, we can see the Lord’s faithfulness in our lives! 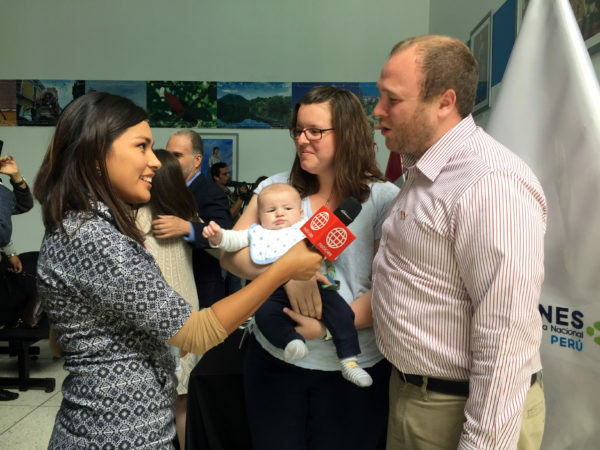 PS – An English article was shared on Andina News here in Lima. Read it here!